It’s NAEP season, my friends. 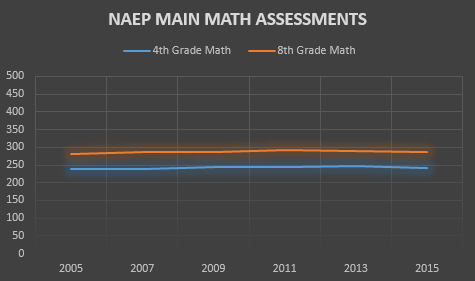 The 2015 National Assessment of Education Progress results were released this week to a barrage of spin, rhetoric, and general “misNAEPery.” I’ve mostly seen this misNAEPery pop up in the form of certain folks using the data to show that education reform efforts aren’t working. (For now, we’ll ignore the crushing irony of using test scores to prove that testing isn’t valuable.) That’s a bummer, so let’s spend a few minutes today talking about what this year’s results do and do not mean. 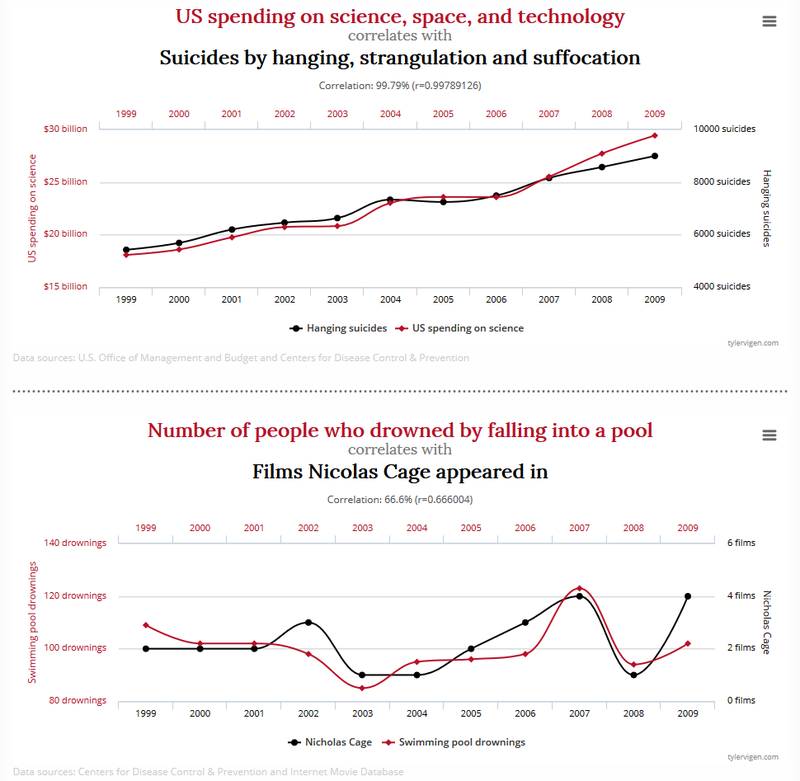 But before you start flinging, let’s pause to remember something important: Correlation is not the same as causation. Remember this simple statistical truism the next time you see reform opponents tout this year’s downward tick as “proof” that education reform—or rather, whichever part of education reform they are most inclined to pick on—doesn’t work. Can we definitively say that reform efforts haven’t played a role in the downturn? No. It’s entirely possible that general instability in the system as a result of the testing and accountability wars has played a part. 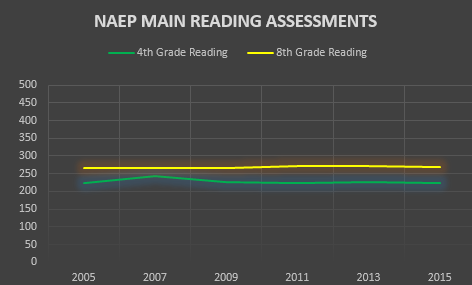 It’s also very possible that we’re seeing an “implementation dip” related to changing standards, or a misalignment of those standards with what NAEP is measuring. Or maybe ten other things. But just as we can’t definitively thank individual reform efforts for generally rising scores (as we are often reminded by anti-reform folks), we can’t definitively blame those efforts for small downturns.